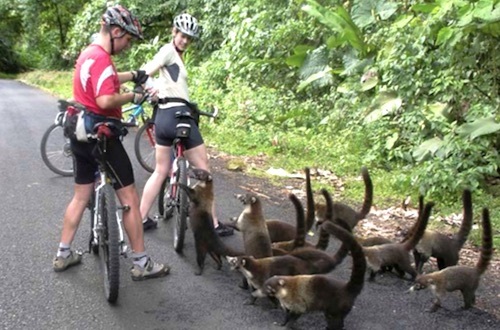 The following cycling holidays all match the chosen cycling holiday grade. If you would like to refine your search, try adding additional criteria via the 'Find Your Ideal Cycling Holiday' Advanced Search feature. Leisurely spring tour through the flowery Mediterranean hinterland of vineyards and garrigue and wooded Cevennes, moving-on every other day with one 1-night stand. 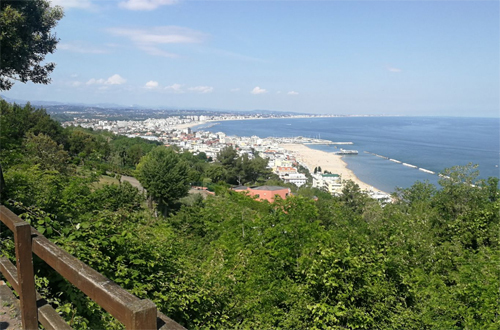 Optional rest days include the Gorges de l'Herault, a choice of Corniche des Cevennes or spectacular steam train ride and Ventoux summit or Gorges de la Nesque. 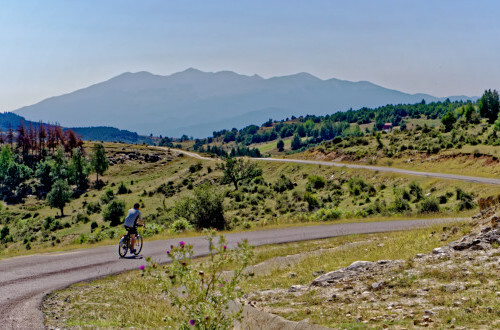 Multiple-centre unsupported camping tour in the scenic Languedoc region west of Narbonne. Varied terrain, from gentle undulations to mountain roads. Stay three nights at most campsites. Carry all your luggage on moving-on days, but ride unladen while at campsites. Two and four week options; Bike Bus or land-only. 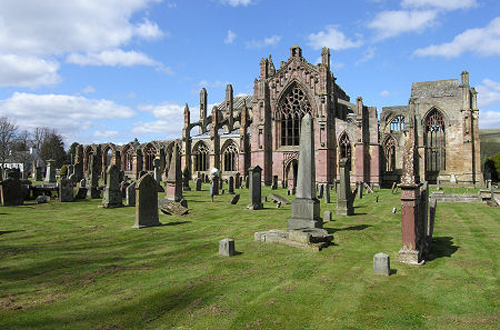 This self-supported camping tour takes in Edinburgh, the Scottish Borders and East Lothian. Cross the Forth Road Bridge and view the new bridge and the famous rail bridge, visit the Abbey towns in the Borders and East Lothian famous for its golf courses and fine agricultural heritage. Excellent train links to/from Edinburgh. Multiple-centre unsupported 2-week camping tour in the scenic Languedoc region west of Narbonne. Varied terrain, from gentle undulations to mountain roads. Stay three nights at most campsites. Carry all your luggage on moving-on days, but ride unladen while at campsites. Two and four week options; Bike Bus or land-only. Based at Bridlington, an opportunity to explore East Yorkshire's very own 'Wolds', a broad crescent of rolling chalk hills and valleys, south of the North York Moors, arcing from the coast at Flamborough west towards Malton and south towards the Humber Bridge. 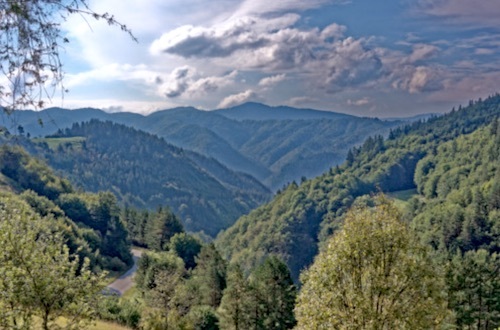 Multiple-centre unsupported camping tour in the scenic Languedoc region west of Narbonne. Varied terrain, from gentle undulations to mountain roads. Stay three nights at most campsites. Carry all your luggage on moving-on days, but ride unladen while at campsites. A leisurely loop from Orange to Valence, moving on every two or three days. 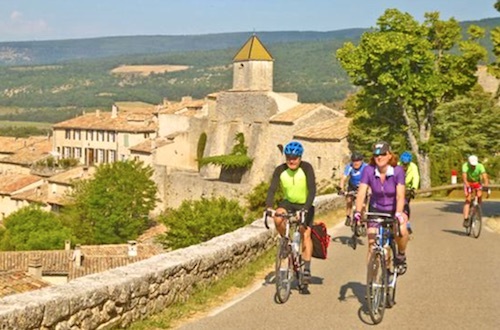 The trip takes in some of the most spectacular scenery in the Alpes-de-Haute-Provence and the Rhone-Alpes, including the Vercors, with plenty of rest days to laze or explore the classic climbs and high mountain passes. Discover this fascinating, little explored and beautiful country at the crossroads of East and West. 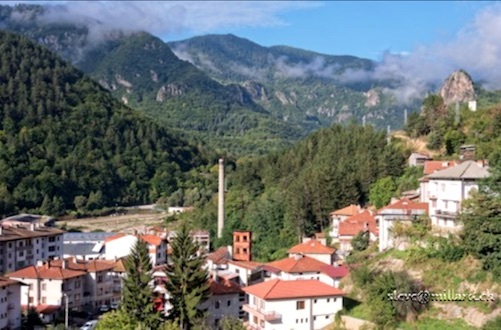 Enjoy stunning scenery of mountains and gorges, quiet roads and friendly locals, an interesting history and culture. All inclusive with good hotels and excellent food. Discovering this fascinating, little explored and beautiful country at the crossroads of East and West. 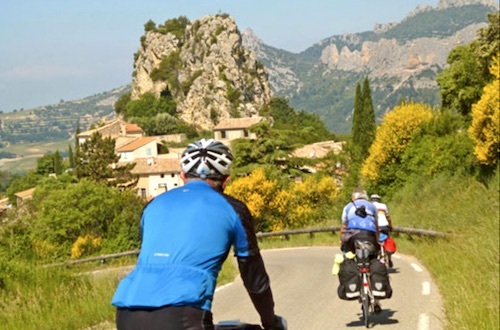 Cycle through magical unspoilt mountains in the legendary birthplace of Orpheus, enjoy stunning scenery of mountains and gorges, quiet roads and friendly locals, an interesting history and culture. All inclusive with good hotels and excellent food. A 4 week version of this tour is also available here. 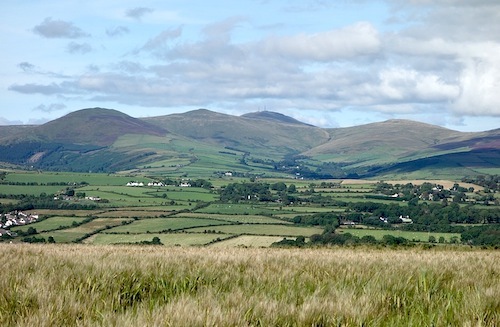 Explore the scenic land of the Common Ridings in early summer. Country house hotel base with ensuite rooms, good food and welcoming hosts. Choice of two rides each day (approximately 45 or 65 miles), with shorter options also available. 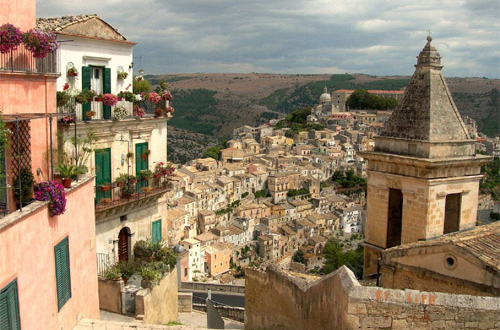 Hilly terrain but varied landscapes, superb views, quiet back roads and great cafes. 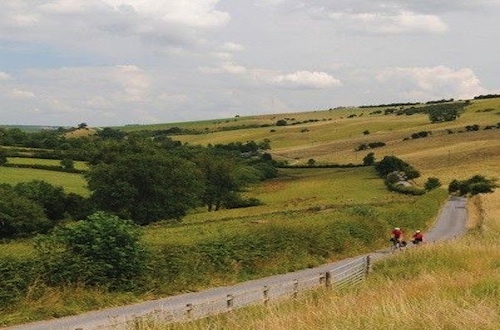 A circular camping tour starting and finishing at Graffham in the South Downs National Park. 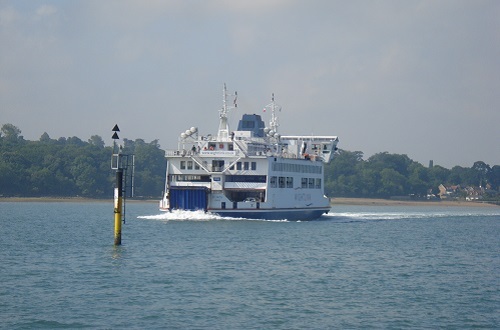 Ferry crossing from Portsmouth to Fishbourne on the Isle of Wight returning from Cowes to Southampton. Opportunity to visit Osborne House, Queen Victoria's island home. 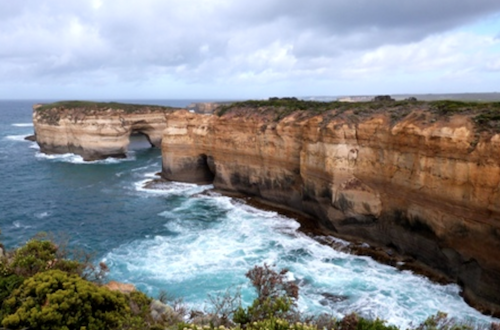 Discover this fascinating, little explored and beautiful country at the crossroads of East and West. 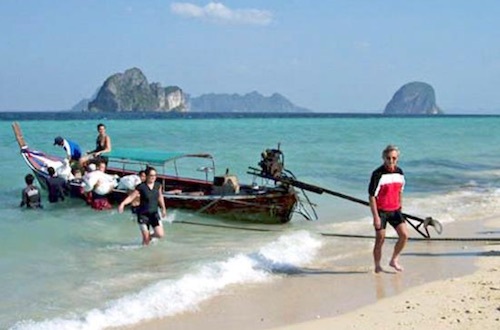 Enjoy stunning scenery of mountains and gorges, quiet roads and friendly locals, an interesting history and culture. All inclusive with good hotels and excellent food. A 4 week version of this tour is also available here. 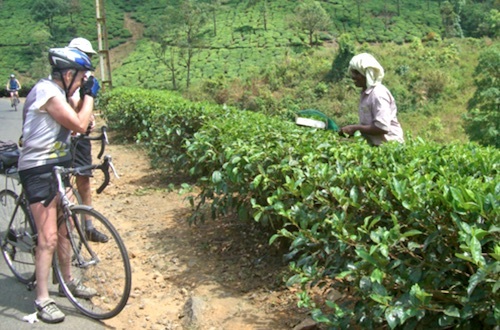 An unspoilt coastline, remote hills, valleys and moorland as well as quiet roads make this an ideal cycling destination. Explore the wide variety of scenery on rides of 40-55mpd to all parts of the island. One rest day. Based in a comfortable family-run hotel on the promenade in Douglas. Ferry Liverpool/Douglas. 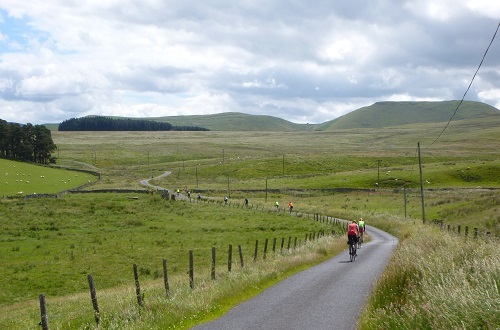 An unspoilt coastline, remote hills, valleys and moorland as well as quiet roads make this an ideal cycling destination. Explore the wide variety of scenery on rides of 40-55mpd to all parts of the island. One rest day. Based in a comfortable family-run hotel on the promenade in Douglas. 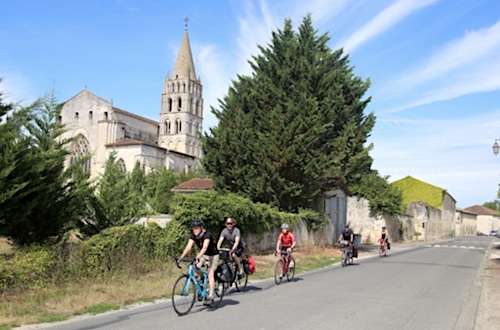 Participate in France's principal cycle touring event. Based at a Cognac château complex, with seven acres of private parkland, swimming pools, a snooker table and BBQ area. Daily loop rides as part of the Semaine Federal. 50-100kmpd. Plenty of croissants/pains au chocolate. A fantastic way of enjoying the event. 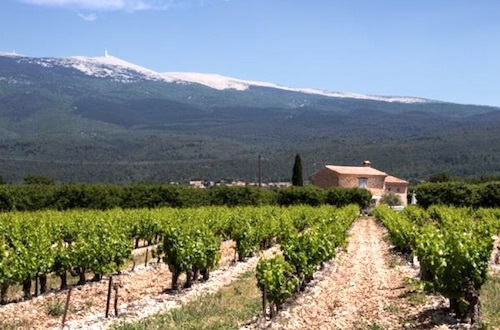 The hills of the Baronnies and the plain of the Rhone offer quiet roads, beautiful scenery, orchards, vineyards and olive groves, gorges, cols and Mont Ventoux. Pleasant hotel. Choice of short or long rides or rest days with support on the longer rides. An unsupported camping tour covering parts of the Netherlands and Germany. 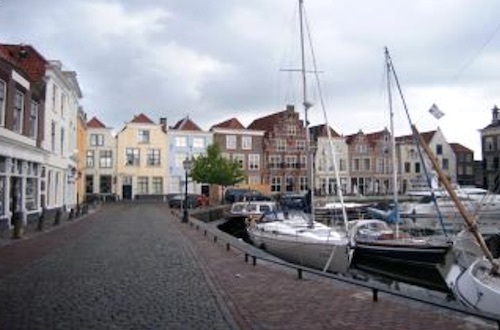 From Beverwijk near the ferry port at IJmuiden cycle north and then east through the Dutch provinces of North Holland, Friesland, Groningen and the German state of Lower Saxony to finish in the city of Bremen. Based at a welcoming rural hotel in the Vaucluse. 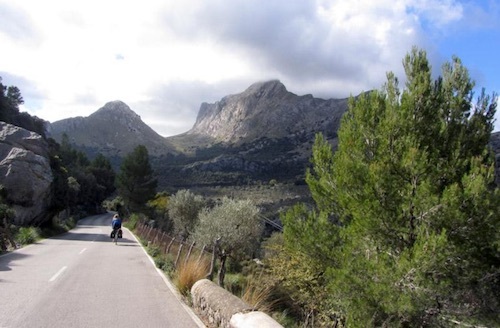 Excellent home cooking, quiet lanes, Mediterranean climate, flora and fauna, medieval villages, beautiful limestone scenery. 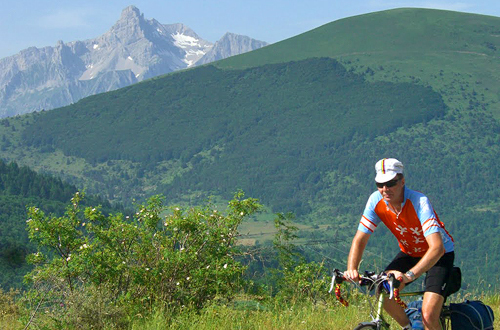 8 days cycling, choice of 15 routes from 32-131km, optional ascents of Mont Ventoux and la Lure. A moderate hotel based moving-on tour with ferry transport to northern Spain. Enjoy the scenic delights of rural Spain at harvest time. See the source and spectacular limestone gorges of the upper Ebro. 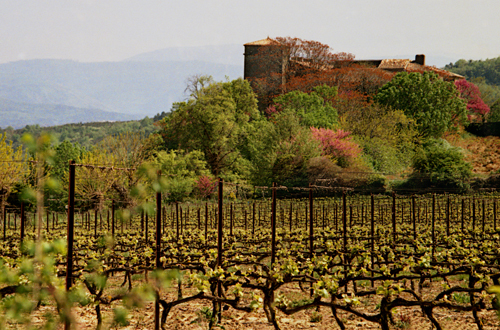 Taste fine Rioja wines, explore villages time forgot and contour through the Mountains of Iron on scenic rail trails! A moderate hotel based moving-on tour in northern Spain. Enjoy the scenic delights of rural Spain at harvest time. See the source and spectacular limestone gorges of the upper Ebro. 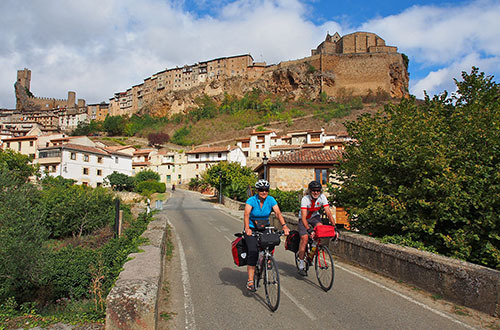 Taste fine Rioja wines, explore villages time forgot and contour through the Mountains of Iron on scenic rail trails! 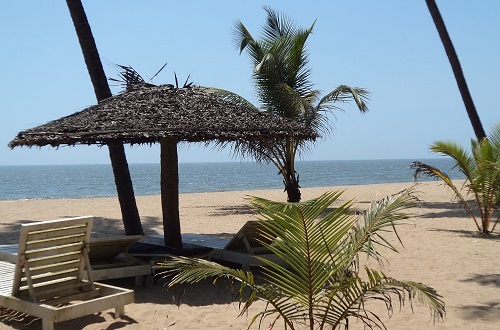 Experience this popular island at the beginning of October when the crowds have gone but the weather is still pleasantly warm. Start/finish at the same hotel which is only 3km from Palma Airport. Cycle more than halfway round the island, 30-75kmpd. Quiet roads, sea bathing.